*Jason Molina’s masterpiece ‘Didn’t It Rain’ in a deluxe 2CD edition reissue* The release features the original album - an ode to the Midwest Rust Belt under which Molina was born and Molina’s (at the time) newfound Chicago home - as well as an additional disc of never-before-released demos. The first demo shared was the haunting ‘Ring The Bell, Working Title: The Depression No. 42’, replete with gentle room noises, highlighting the intimacy of all the demos found on this deluxe edition. 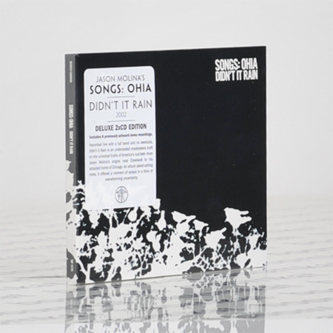 ‘Didn’t It Rain’ was Jason Molina’s first perfect record. Recorded live in a single room, with no overdubs and musicians creating their parts on the fly, the overall approach to the recording was nothing new for Molina. The execution of ‘Didn’t It Rain’ clearly sets it apart from his existing body of work. His albums had always been full of space but never had Molina sculpted the space as masterfully as he does on ‘Didn’t It Rain’. 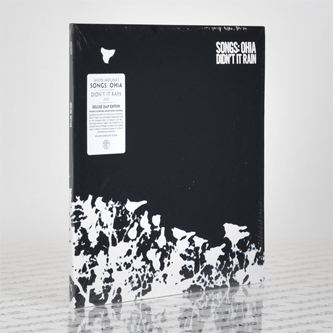 This expanded reissue presents Molina’s home demos of the record, eight previously unreleased tracks, complete with a distant playground full of children chiming in the background for a few songs. The glorious juxtaposition of Molina’s songs’ desolation and the blissful playing of children is about as haunting as it gets."